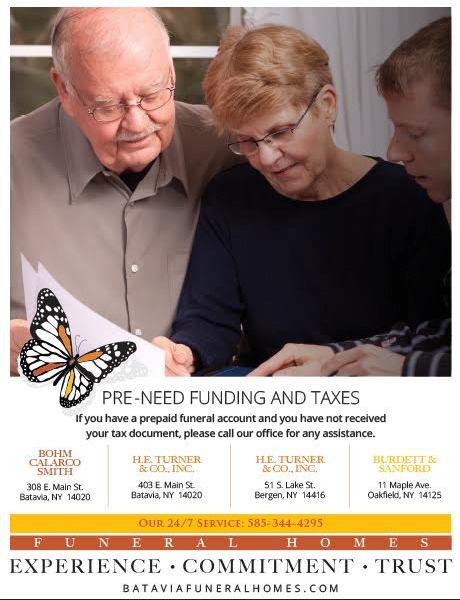 posted by Lisa Ace in Sponsored Post, advertisement, Sacred Trust, Batavia Funeral Homes. When the family of a veteran places their trust in us, we consider it an honor. We're honored because a family is trusting us to care for their most prized possession, their loved one, a veteran. They do so because they know that we care. posted by Lisa Ace in Sponsored Post, advertisement, NYPA, Internship, paid, The Batavian, jobs. posted by Lisa Ace in Sponsored Post, advertisement, crossroads house, Strike Out Bowling event. posted by Lisa Ace in Sponsored Post, advertisement, open house, Reliant Real Estate. Comfortable and solid City colonial in nice neighborhood. Easy to see and super affordable – this 3 bedroom bath and a half home features very spacious room sizes. Downstairs is open and great for entertaining but very homey. Some hardwood floors and gorgeous unpainted woodwork really give this home charm. Upstairs bedrooms are all large with closets and attic is already partially finished and with a little paint could be amazing extra living/play space! Mechanically sound with nothing urgent to tackle but what you want to do! Enjoy the front porch that has the forever trexx decking to enjoy the neighborhood or have your morning coffee on the back deck to enjoy the peacefulness of the cute back yard -- either way come check out a really nice home! Call Lynn Bezon today - 585-344-HOME or click here to view the this listing. posted by Lisa Ace in Sponsored Post, advertisement, State Farm Insurance, Mark Lewis, batavia, New year's resolutions. Insurance. posted by Lisa Ace in Sponsored Post, advertisement, Open Houses, real estate, bergen. 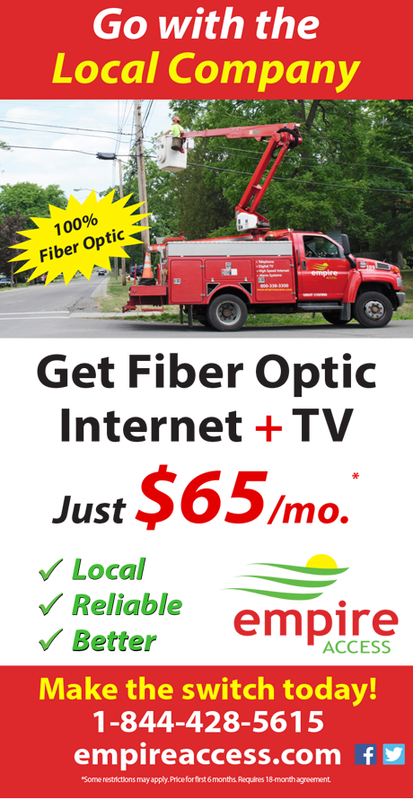 posted by Lisa Ace in Sponsored Post, advertisement, Ken's Charcoal Pits, Wood fired Pizza, Open Pizza, food, batavia. posted by Lisa Ace in Sponsored Post, advertisement, GCC, Sealed bids, Generator Project, work, Batavia Campus, Genesee Community College. posted by Lisa Ace in Sponsored Post, advertisement, Primary Care Doctor, Doctor, Primary Match, Rochester Regional Health, Health Care, batava. posted by Lisa Ace in Sponsored Post, advertisement, West Main Gardens, Rentals, Apartment Units for Rent, apartment, For Rent, batavia. West Main Gardens - the perfect amount of space! Our apartments will give you just the perfect amount of space you need. Beautifully designed, these units will make you feel right at home. 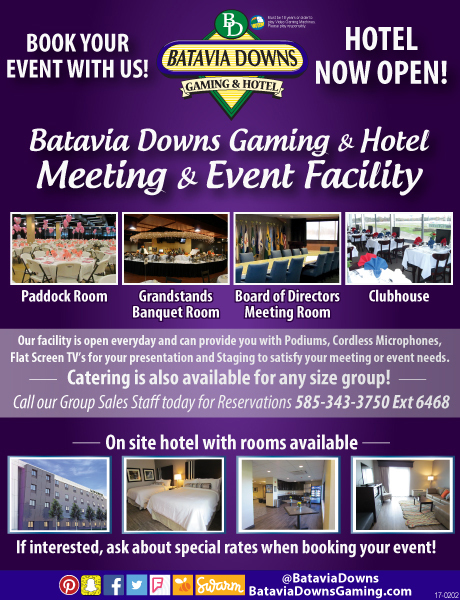 Walking distance to Batavia Downs Gaming and shopping centers. Click here to apply today! posted by Lisa Ace in Sponsored Post, advertisement, open house, Keller Williams, real estate, Sunny Rathod. This beautiful vintage built home is waiting for a new family! Situated in the heart of the City of Batavia, this house allows for easy access to amenities and schools nearby. This house comprises of: 3 bedrooms and 1 bath. The lower level offers a large open plan living/dining with an open family room that can be changed to your needs. With hardwood flooring covering every inch of the home, a new roof, thermal windows, a water heater, pex plumbing and HV/AC all replaced in April of 2018, this house offers both the elegancy yet a modern look to 21st century families. To take a personal look into the home, call Sunny Rathod today 585-813-2445 or CLICK HERE for more information.